Everyone loves an easy traybake. 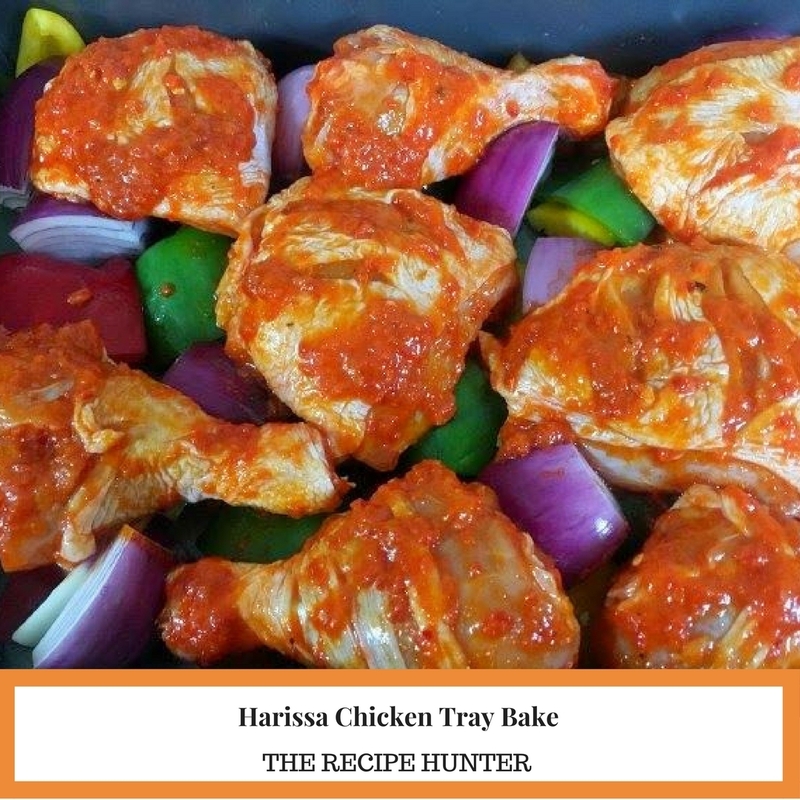 Try this chicken dish with spicy harissa paste! 6 piece braai pack, washed and excess fat trimmed off. 2 red onions, peeled and cut into quarters. 4 colorful mixed peppers, seeded and cut into quarters. Grease your baking tray with a little cooking oil. Evenly spread the onions and peppers along with the bottom of the tray and set aside. Score the top of each piece of chicken and set aside. In a bowl, season your chicken pieces and then pour in the harissa sauce, toss the chicken so that the sauce coats everything and make sure to rub into the score marks. Place the chicken pieces on top of the peppers and onions. Pop into a preheated oven and bake 180C for 45 minutes or until the chicken is cooked through.